Five Ghosts | Sana Ako si Ricky Lee! There are so many things that I want to write about that I’m unable to do so because it would require that you should have a prior knowledge of some things like your KUA NUMBER, your BASKET OF ELEMENTS and it’s WEIGHTING, etc. But some of these things would need a lot of dedication and time for you to be able to really do it yourself. I’m not sure whether I’m ready or capable of doing a ‘blog tutorial’ type of lesson. However, counting your Kua number is something that you can learn really fast so I’ve decided to share it with you now. Basically your Kua number determines the lucky and unlucky directions of your life. I’ll discuss about these lucky and unlucky directions in details on my next post. But knowing your Kua number will determine whether you are an East or West group person and your corresponding lucky and unlucky directions. 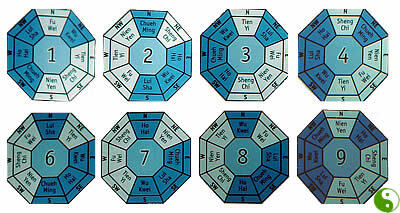 If you wish to know more about these lucks and bad lucks please do read my posts FOUR DIFFERENT TYPES OF LUCK BASE ON YOUR KUA NUMBER and FOUR DIFFERENT TYPES OF BAD LUCK BASE ON YOUR KUA NUMBER. If your Kua Number is 4 your lucky directions are – North (SHENG CHI), South ( TIEN YI), East (NIEN YEN), and SouthEast (FU WEI). Your unlucky directions are – Northwest (HO HAI), SouthWest (WU KWEI), West (LIU SHA), and NorthEast (CHUEH MING). If your Kua Number is 7, your lucky directions are – NorthWest (SHENG CHI), SouthWest (TIEN YI), NorthEast (NIEN YEN), and West (FU WEI). Your unlucky directions are – North (HO HAI), South (WU KWEI), SouthEast (LIU SHA), and East (Chueh Ming). For the women, you also take the last two digits of your birth year. Add them together and keep on adding until you get a single digit. Add 5 to this number if you were born before the year 2000, add 6 if you were born in the year 2000 or later. If the result is a two digit number, keep adding it again until you again get a single digit. This is your Kua number.